7art Cancer Zodiac Clock screensaver: magical clock talisman for Cancer zodiac sign. 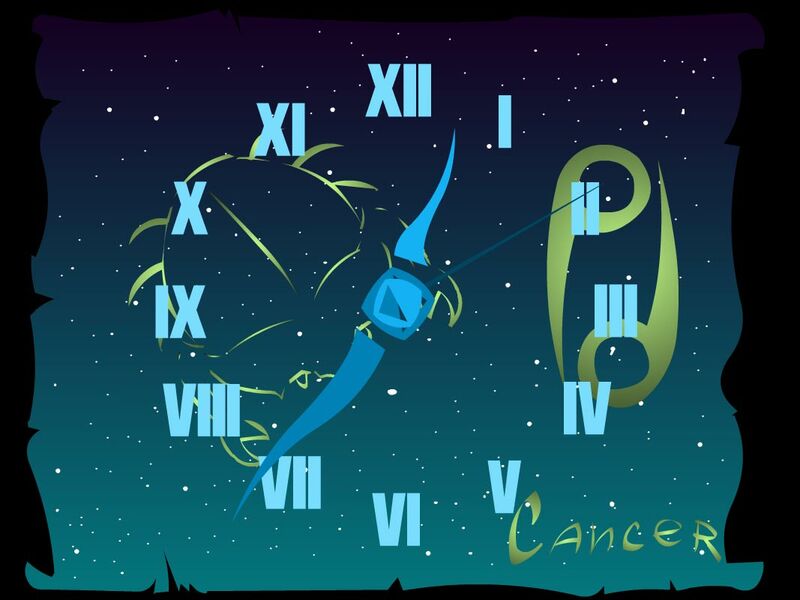 Cancer Zodiac Clock is a magic talisman for whose of us born from June 22 to July 22. It brings luck and happiness and it's a nice free desktop clock screensaver as well. 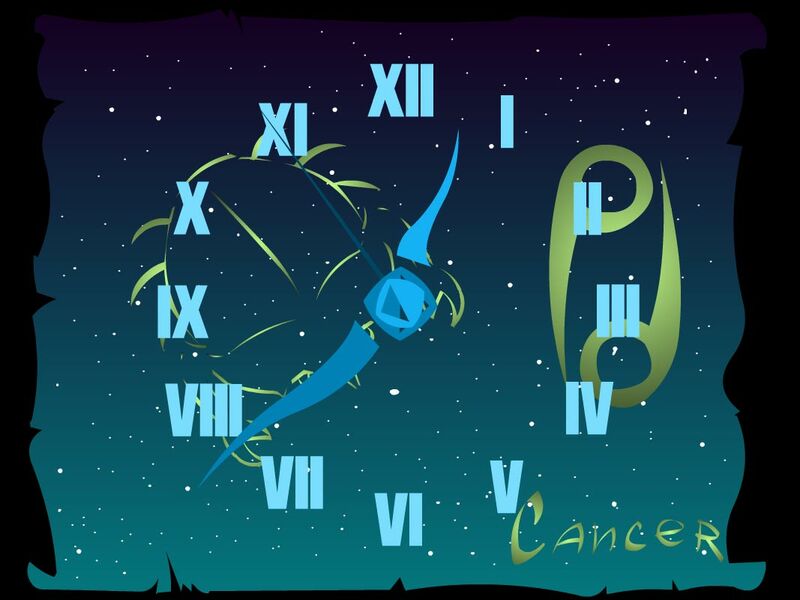 Cancer is a very sensitive and intuitive person. He prefers slow and calm rhythm of life. This person is devoted to his family. He is always looking for a company benevolent to him. Cancer is a gourmet, often - connoisseur of restaurants. Fate is usually favorable to him.